While I’ve never taken a karate chop to the head, I’m pretty sure it feels exactly like waking up at 5:00 a.m. If you’re a morning person, I salute you, but I have to question your sanity. With that in mind, on this day, I had good reason to wake up in the midst of darkness. I was one of the 37 brave (aka insane) PacificSource employees that vowed to “spring” out of bed, go for a hike, and plant rewards for early morning exercisers. Let me back up a bit. 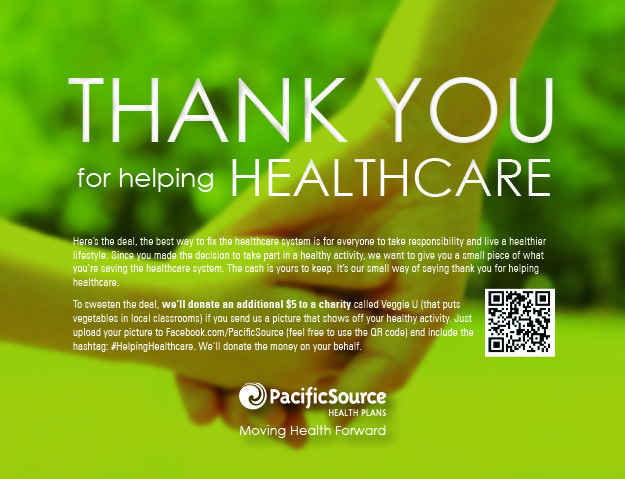 At PacificSource, we want the world to understand that the best way to improve the healthcare system is to simply live a healthier lifestyle. If we eat better, exercise more, stress less, and quit smoking, we can significantly decrease the burden on the entire system. It sounds simple, but it’s a difficult message to broadcast. So to make it happen, we needed to get a little creative. But how would we find these healthy people? That was the fun part. Back to my 5:00 a.m. wake up. We picked 10 popular hiking spots in Oregon, Idaho, and Helena, and our employees teamed up to plant “golden tickets” along those hiking spots. But since we picked a work day to pull it off, we needed to start our hikes at 6:00 a.m. so we could all make it back to work on time. Luckily, I had a hiking squad to keep me accountable for showing up on time, or the old “snooze button” would have gotten a work-out. 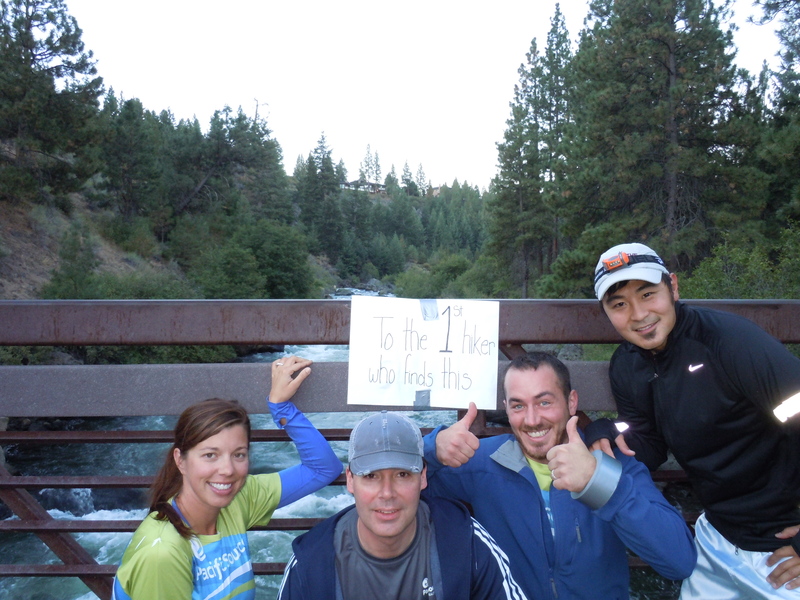 At the exact same time, all of our hiking teams attacked trails in Eugene, Bend, Portland, Boise, and Helena. Like little elves, we carried our mysterious flags up hills, along rivers, and through wooded trails in search of the perfect place to plant our “golden tickets.” We looked for places that could only be accessed if you exercised to get there. What that meant for us; we needed to invest some sweat to plant these suckers! Since stumbling across a mysterious note is way more fun than watching somebody leave flag, we wanted to secretly plant them. In my team’s case, I had the honor of planting our flag on the top of Mt. Pisgah in Eugene. I creeped up the hill, darted from tree to tree, and lurched in the grass to avoid being seen. Turns out, nobody else was up there, so all of these antics were strictly for my own amusement (How often do you get to pretend you’re a spy? Can you blame me?). Mission was accomplished. 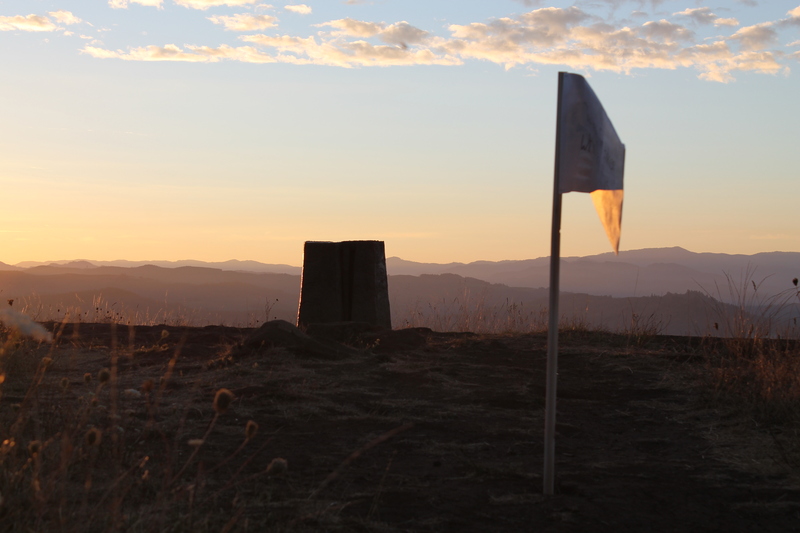 Once again, at all of our hike locations, our teams planted their flags at the same time. What made this such a blast was the fact that so many of us took part, and we all made it back to the office like it was business as usual. When we got back to work, we all felt pretty darn energized by the experience (however, we all felt like slipping into a coma a few hours later). 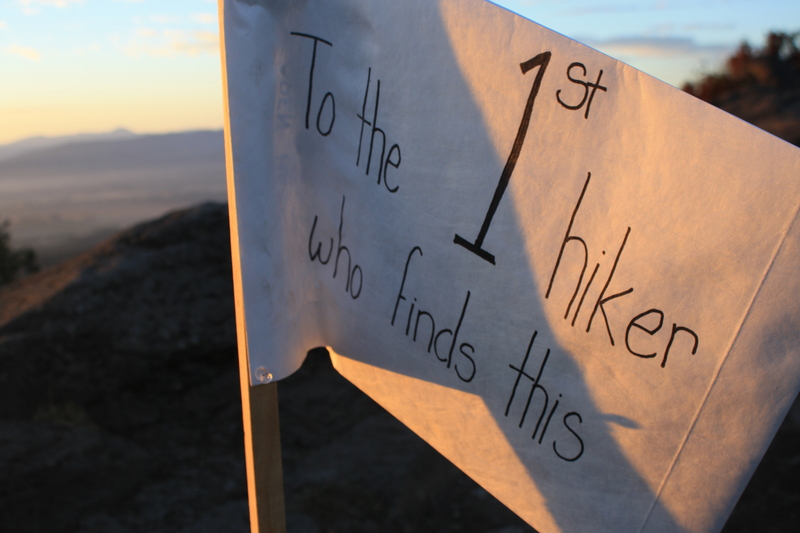 While our goal was to reward a few lucky hikers, our crew probably received the biggest benefit. 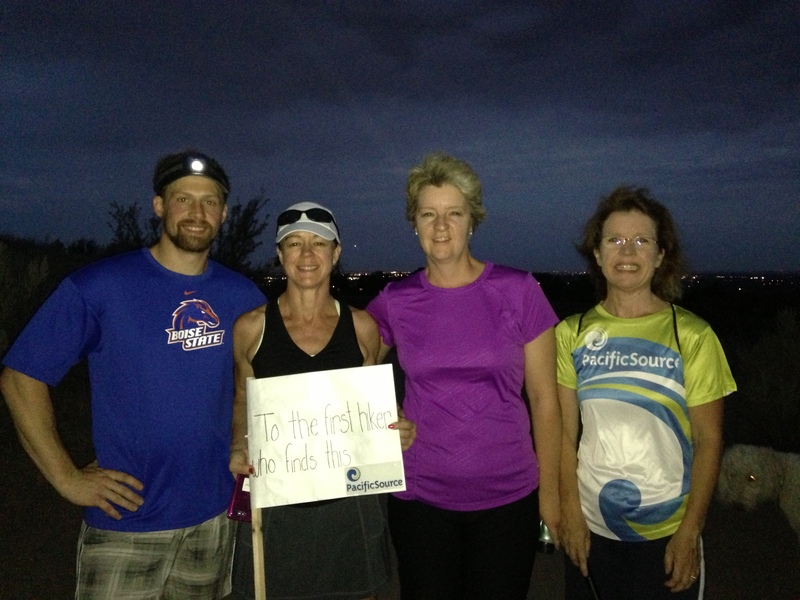 Whether we were hiking Oregon, Montana, or Idaho, it’s pretty hard to be a morning sunrise after pounding the trails. Not to mention, we felt like a hybrid of a secret and the Easter bunny as we planted the flags. All told, it was a great morning. We aren’t finished thanking people for helping healthcare. So next time you’re on a hike, jog, walk, or bike ride, keep your eyes peeled. We’ll have thank you cards all over the Northwest. We know berries can be considered a luxury at the grocery store, but admit it, every time you splurge you have no regrets. Well, since it’s berry season we wanted to give you 5 good reasons to enjoy every bite. Berries are high in vitamin C, a potent antioxidant. One cup of blackberries or raspberries has half your daily vitamin C needs! And, vitamin C fights off the creepy bacteria lurking everywhere. Vitamin C is also great for keeping your heart healthy and happy. Get tiny seeds stuck in your teeth AND lower your risk of certain cancers. Research suggests that people with high intakes of vitamin C from fruits and veggies might have a lower risk of getting many types of cancer, but the same is not true from taking vitamin C in a supplement. So eat those fruits and veggies for some extra protection. Keeping it clean. Berries are loaded with fiber, almost 8 grams in one cup (that is almost a third of daily needs for most people). They are especially high in insoluble fiber which works like a broom to sweep out intestines and keep things moving along. Reduce your chances of bleeding to death! These tasty little berries are high in vitamin K, important in blood clotting. So the next time you take a tumble from your bike or get a paper cut, fret not! Eat a cup of berries and enjoy the benefits. Huge taste, low calories. On average there are about 60 calories in one cup of berries. Proof that good things come in small packages. Between tasting great and added health bonuses, berries deserve a spot at the top of the list of non-guilty pleasures. With that in mind we put together a little quiz to test your knowledge of berries and their benefits. 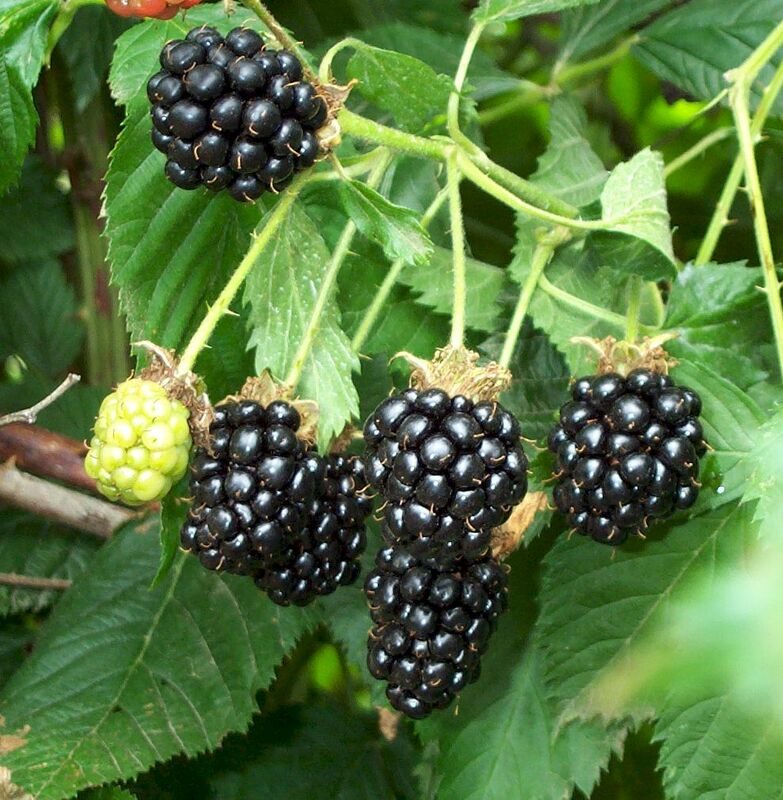 1) True or False: A marionberry is a blackberry. 2) True or False: Blackberries contain small amounts of Omega-3 fats. 3) True or False: Boysenberries are a raspberry/blackberry hybrid. 4) Which fruit is considered the ‘Cabernet’ of the blackberries. It’s pretty tough to beat a summer walk in the park. But we found a way; paying you for it! Last night in Eugene OR, we donated $1 for every mile walked, run, jogged, or biked to the youth athletics non-profit, KIDSPORTS! All the money will go directly to the KIDSPORTS! Scholarship fund which helps ensure that regardless of a family’s finances, all kids get the chance to play team sports. 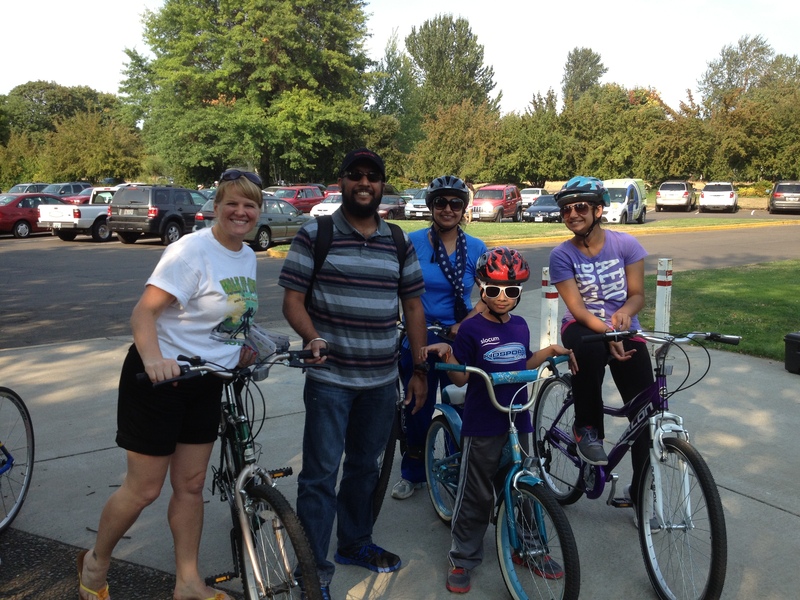 That means that the 399 people who exercised last night helped get children active in Eugene/Springfield. Pretty heart-warming when you put it in perspective. We can’t thank Liz N Reilly enough for being the driving force behind “Walk It Off.” We’d also like to thank KEZI 9 News for promoting and covering the event last night. They gave KIDSPORTS! the exposure they deserved, and painted a fantastic picture of how people in Eugene/Springfield were so willing to sweat it out for their community. 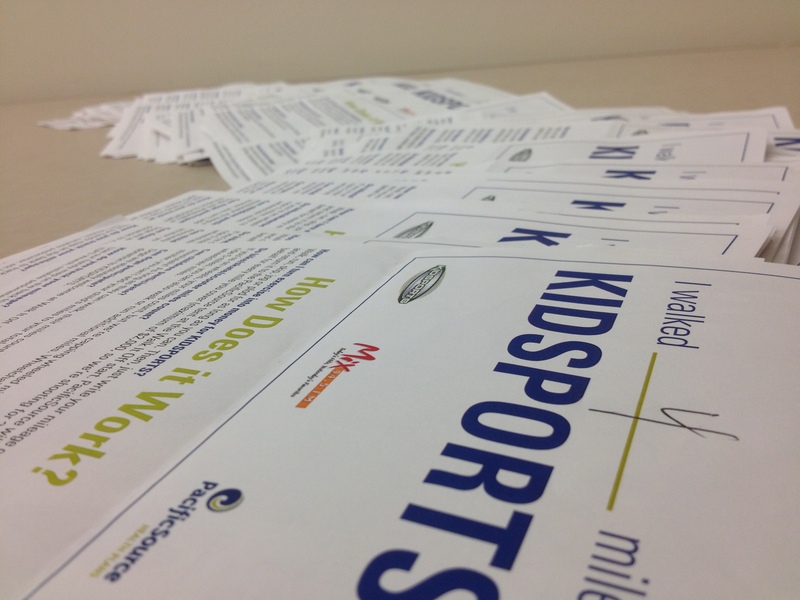 We had a blast, and can’t wait to cut the check to KIDSPORTS! Here are some snapshots from last night.